The Westworld and Thor: Ragnarok actress doesn't hold back here. Tessa Thompson is proving to be one of the best new things to hit Hollywood in recent years. While successfully mixing up her CV with small, important indie gems and huge blockbusters, here future is looking particularly bright. 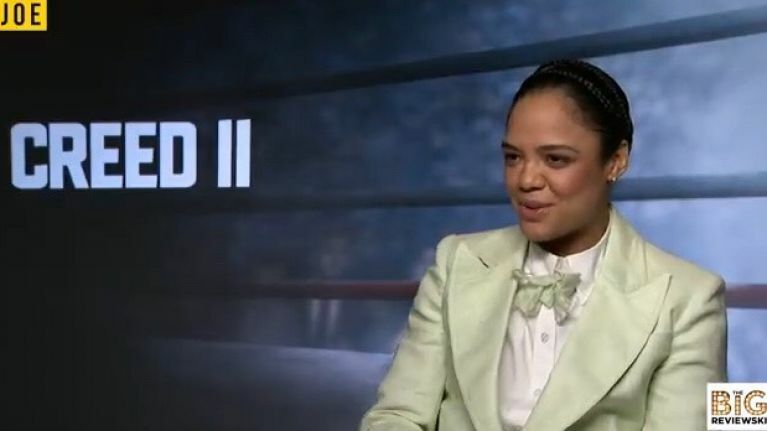 While we sat down with the Creed II actress to chat about the boxing sequel, we also discussed the fact that two of her next big projects see her working with two of Ireland's best talents, starring with Liam Neeson in the untitled Men In Black sequel, and Ruth Negga in powerful drama Passing. That conversation ended up with Tessa attempting an Irish accent (which needs to be heard to be believed), but before then, we also discussed the cliche of the girlfriend role in boxing movies, which is something so prevalent that it has its own recurring character on Saturday Night Live. "It was all hands on deck. It was important to me, from the first film, Ryan Coogler (writer and director of the first Creed movie) and I had so many conversations about that, and we really wanted to try to buck convention in that space. 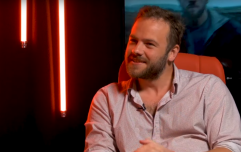 "So often women are tasked with - not just in boxing movies, but just in movies in general - I won't say which, but I was watching a film last night on the plane and I was just like... Man, women! We just show up in movies to function to support the male character in ways. Like, we die for them, we live for them, it's just obnoxious actually! "We wanted to do something different with [Bianca], so we tried to do that." Elsewhere, you can check out our review of Creed II right here, as well as our chats with the movie's director Steven Caple Jnr. (right here), and our exclusive chat with Dolph Lundgren and his on-screen son Florian Munteanu as they talk about the potential Drago spin-off.